Raleigh, NC -- June 30, 2010 -- All Lift Chairs, an online retailer in electrical lift chairs is proud to announce its two newest additions to the Pride family, the LC-900 Media Lift Chair and the LL-700L Lift Chair Bed. 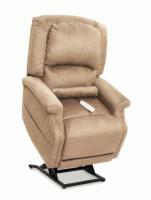 The Pride LC-900 Media Lift Chair is a brand new lift chair with optional Media Wedge. The LC-900 offers you complete comfort while enjoying your favorite TV show. The chair comes fitted with Lexis Vinyl and comes in five distinct colors. For even greater comfort, the Media Wedge matching accessory has a storage compartment and 2 cup holders. The Pride LL-700L Lift Chair Bed is a LL-700L lift chair that comes with a plush mattress to ease the pain on the back. The LL-770L folds back to full Trendelenburg position that raises your feet above your head, resulting in improved circulation and decreased pressure on your lower back. 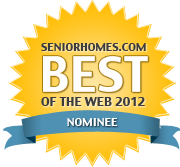 All Lift Chairs is your premier site for purchasing reclining lift chairs. All Lift Chairs offers a variety of reclining lift chairs from two of the top manufacturers in the field, Pride and Golden, as well as offering lift chairs in a variety of positions. An optional mattress is available for those who do need it.